Richard is a very brave nine-year old boy who loves the wilderness. He wishes to be like his hero Daniel Boone, the famous American explorer. During a camping trip with his whole family, Richard and his little brother Bernard have a much unexpected experience that was exciting and scary at the same time! Getting lost in the forest is thrilling, but frightening as well! 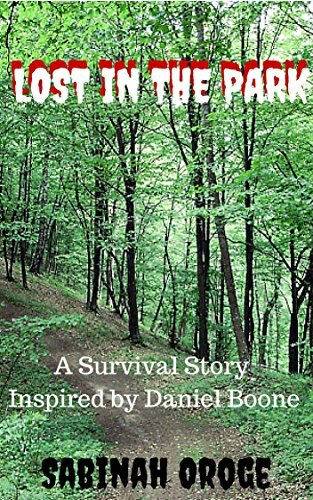 Does Richard remember all the things he learned from the life and adventures of Daniel Boone to keep them safe in the forest all by themselves? There are so many things in the forest that are very beautiful, but also very dangerous. The blueberries sold in grocery stores is not the same as a blue berry found in the forest. Although nights in the forest are lovely to behold with a million stars in the sky, it can be deathly cold without shelter or protection. Does Richard know how to keep safe, especially with his little brother there? Can he take care of both of them? What are the important things to bring to a camping trip to make sure that Richard is ready for all the possibilities that living in the wild can bring? This story is about courage, responsibility and all the unexpected twists that life can bring â€“ even with a simple thing like a camping trip. It teaches that reading a book or watching a television show is very different from experiencing the real thing. There is also a lesson about being brave to face your fears, even against the greatest of odds. Being smart, resourceful and keeping a level head can mean the difference between being safe and being in danger, especially in an unfamiliar place like a big forest. Join Richard and Bernard as they explore and experience the fascinating world of the great big wilderness!